Vector Corporation has started the business as a electronic components reseller from 1988 and our digital IP team has been providing a local customer with a general purpose digital IP such as 8/16/32 bit microproccessors, peripherals, secury and encryptions, compression IP since 2002. Also our hardware department supplies local data storage manufacturers with a protocol analyzers which supports SAS, SATA, PCI-Express, NVMe. The 32-bit BA2X Processor family includes a Pipeline Zero Embedded Processor with a code density and high-performance/ultra-low-power combination that we're proud to compare to every competitor. The CAN FD Controller Core continues to break ground as the most advanced ASIC/FPGA IP around with our recent announcement of support for the Time-Triggered communication protocol (TTCAN). You can even get this with a reference design board and verification IP. 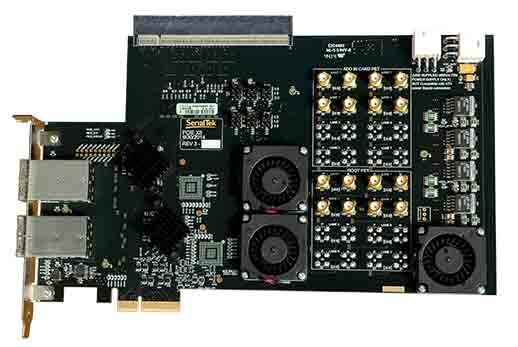 The BusXpert Micro PCI Express® (PCIe®) analyzer is SerialTek’s second analyzer designed and optimized for equipment manufacturers that are developing storage products and solutions using PCI Express technology. With support for data rates of 2.5 GT/s, 5.0 GT/s (Gen 2) and 8.0 GT/s (Gen 3) and bus widths of x1, x2 and x4, the Micro provides accurate capture, analysis and deep insight of PCIe traffic at all layers of the protocol stack. A wide range of cost-effective and flexible probing options are available for BusXpert Analyzer users. These interposer solutions are designed to provide maximum performance and flexibility when capturing PCI Express communication data between hosts and devices; they include slot, M.2 and U.2 interposers.